Supporters of Dr. Charles Holmes, retired chair and professor of the Political Science Department at Jackson State University, met to honor him at the announcement ceremony of an endowed scholarship in his name. Holmes was referred to as an innovator who had the university and students at heart. Those who spoke of his integrity, ingenuity and mentorship gave him high marks. Dr. Mario Azevedo, dean of the College of Liberal Arts, characterized Holmes as a man who always likes to explore things. “He is very active in preparing students for law school,” the dean said. 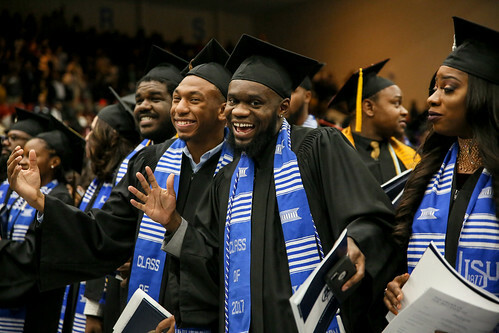 He further indicated that gift-giving assures that worthy students will have an opportunity to attend Jackson State, creates an opportunity for perpetual income and benefits current and future generations. The scholarship further increases enrollment opportunities as well as ways to increase academic excellence. Chair of the Department of Political Science, Dr. Ricky Hill, said that freshmen majoring in social science, history and urban development would benefit from the Holmes scholarship. “We have seen someone who has been giving back all of his life,” Dr. Evelyn Leggette, provost and senior vice president for Academic and Student Affairs, told those present. “We appreciate your providing scholarships for students, for your thinking about someone beyond yourself,” she said. The names of former students Holmes recalled having influenced then came to mind. Many of them have contributed to the scholarship. Carlton Reeves is a lifetime judge. Cornell Brooks is executive director of the NAACP. Janie Lewis Blackmon is a judge. Terri Fleming Love is a judge in New Orleans. Others include: Mississippi Sen. Hillman Frazier; Lee Jackson, a lawyer in Washington, D.C.; and Felecia Adams, U.S. Attorney in Oxford, who was appointed by President Barack Obama. The JSU lover and widower contended that throughout his entire teaching career, he never got out of character with women. Among them all, he held two in high regard: Willene Holmes, his supporter and wife of many years, and his deceased friend Margaret Grice Teague. “I recall the scholarship drive. Margaret and I were classmates for four years. She helped to raise money for this scholarship,” said the professor. Among those who commented about Holmes was Teague’s daughter, La Sonya. “I am proud to be here and to see that my mother was acknowledged for us,” she said. Holmes served at JSU from 1966-1993.